When it comes to shampoo and conditioner, I usually stick to the same products. 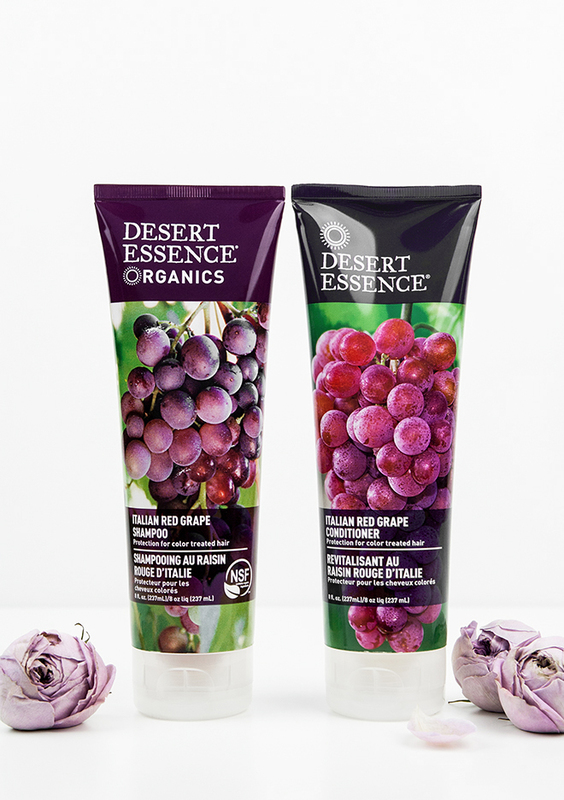 My most used haircare duo is the Red Raspberry shampoo and conditioner from Desert Essence. Come to think of it, I’ve been repurchasing these two organic haircare products for years and years. But it gets boring to use the same stuff for such a long period, so this time I went with another pair from the same brand: the Italian Red Grape shampoo and a matching conditioner. As far as the packaging goes, Desert Essence always has the nicest bottles for its haircare. Just look at those juicy grapes! Both the shampoo and the conditioner has the same sweet scent, which reminds me of burnt grapes. I enjoy using this pair in the shower because it fills the air with a lovely aroma. I like that the shampoo lathers up nicely without using too much of it. The conditioner is also great, with a creamy, nourishing texture. The Italian Red Grape range focuses on color treated hair and promises to repair, protect, and nourish. Virgin hair, especially if dry and damaged, will also enjoy using both of these products. My hair is extremely damaged, so I did not notice any miraculous effect. However, it feels clean and refreshed after using the shampoo. Speaking of shine, I do get my hair more shiny from the Red Raspberry conditioner, but the Red Grape Conditioner is definitely much more nourishing and intense. Overall, I’m super happy that I’ve decided to try this range. 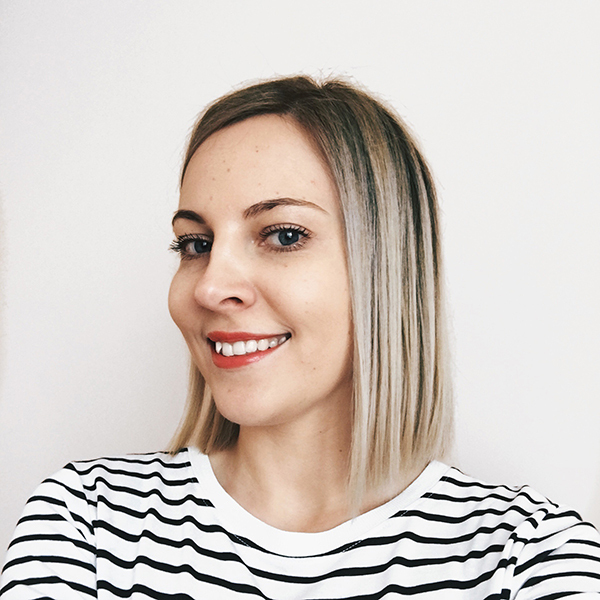 It’s a fabulous everyday choice for normal/dry hair. Will I repurchase? Definitely,since it is a good quality for a reasonable price. 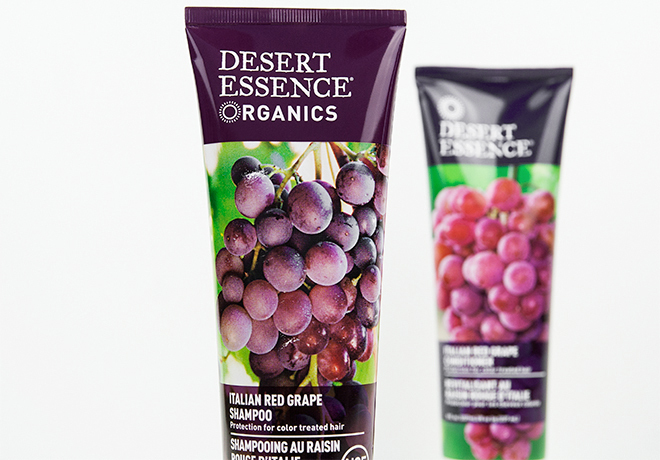 Desert Essence Italian Red Grape organic haircare range is available online at Desert Essence, iHerb, Vitacost, etc. Pretty much everywhere. 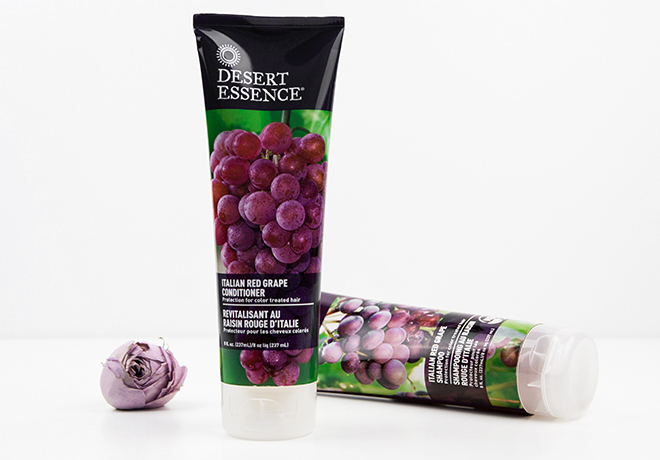 Have you tried Desert Essence haircare products? Hey, great job and nice writing! 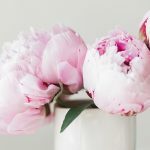 I have been through so many blogs but this one is my favorite. 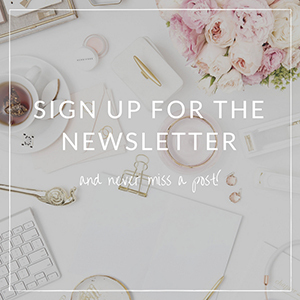 Will definitely follow your blogs. When it comes to shampoo and conditioner, I usually use the same products. This is article is very helpful as I prefer the shampoo which can nourish and repair my hair. I’m really glad it was helpful to you!